With Microsoft still keeping quiet on their new Xbox 720 console (addit: now the Xbox One), many are pondering on what Redmond will include. With the PS4 launch having a lot of sharing and social network features, news is coming to us about Skype being integrated with the next generation console. Skype, for those of you living in the dark ages, is Microsoft’s video calling service, which also acts as a messaging and chat service. The service recently swallowed the ageing MSN messaging service. Right now on Xbox Live, you set up a party and they connect for voice chat. The service works well enough and supports up to 8 people in the party. 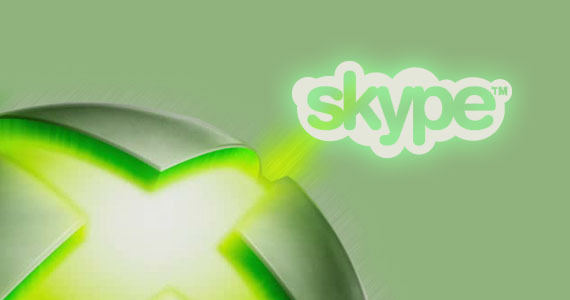 Skype could add people from outside the Xbox universe to calls and new ways of messaging people, with face chat and text messaging. Skype also works with Windows 8 phone and other Windows products, and Xbox 720 will probably integrate with the phone and tablet and they will act as a second controller or remote. Microsoft Surface Pro and Surface RT 2 may be capable of running arcade games and titles as well, we suspect. This isn’t the first we have noticed Xbox 720 possibly integrating Skype into their Live service, with the company adding a few new job postings asking for staff that can integrate a solution for Skype to be on the next generation console. Microsoft is looking for full integration across all products lines, quite similar to what Apple have with iCloud and the Apple ID. They want the service to run through every single product they launch, with the same user experience to accompany it. The problem is to be in this full user experience you have to buy into every product Microsoft launch, something not a lot of people are doing. We believe Microsoft also have plans for sharing in game footage and allowing users to upload this footage to YouTube or other social platforms. This sharing technique will make it easier for YouTube commentators to upload gameplay footage, but there will be no editing features, we believe.